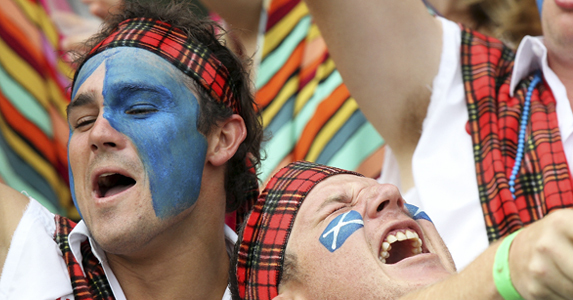 Something to shout about: which of the two Scottish sides will come out on top in the 1872 cup? ALTHOUGH STERN faces will be talking about the benefits the Scottish pro sides can gain from the next three rounds of the Heineken Cup, it is safe to say that these are now extra games for Edinburgh and Glasgow to build form for other competitions. For both sides their season will not be defined by the remaining European matches, but by the two 1872 Cup matches between the rivals in the RaboDirect Pro12. Inside Edinburgh there are the noises you would expect. Players gush about their setup, declaring the mood fantastic and the volume of losses perplexing, considering how harmonious the camp is. There are some grumbles about the shape of their pack, with opensides Ross Rennie and Roddy Grant sporadically falling out of favour despite their defensive qualities, but nothing that can’t be sorted out over time. However, these noises can appear as positive spin because that pack and the collective defence are two whopping reasons why Edinburgh have struggled, particularly in Europe. Like dogs chasing cars the capital side ran and ran against Saracens and Munster, almost presupposing the Scotland national tactic against South Africa of running round the half-back to smack into beefy opponents. 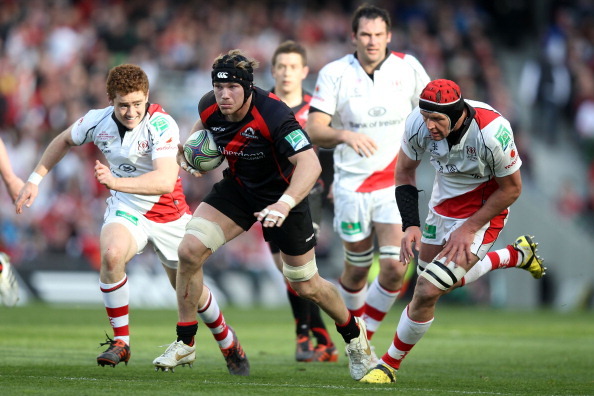 Defensively, against all of their European opponents, Edinburgh have gotten it wrong so far. They have let opponents ride tackles and they have left ruck-side gaps. They have flown too hard, trying to show their determination, and have forgot the basics of teamwork. They have ignored drift because they have been running too hard. When players run at them, Edinburgh can defend. Last year they tried to do this before pouring on scores of their own. This season, though, they have been nilled in Europe and have scored less than they have conceded in the Rabo, collecting only one try bonus so far. They face Racing Metro again this week, hoping that last season’s try bonanza can be repeated and they can kick start their season offensively. They will need to, because in the 1872 Cup they meet one of the Rabo’s best defence. According to sources at the Warriors, Matt Taylor has revolutionized the side’s defence. This may seem odd, considering how fierce the Glasgow team were in defence last season, but Taylor has brought in new ideas and a dedication to detail – particularly in terms of slowing down ruck ball – that has impressed his charges. In fact all of the new personnel at Glasgow have bedded in well. 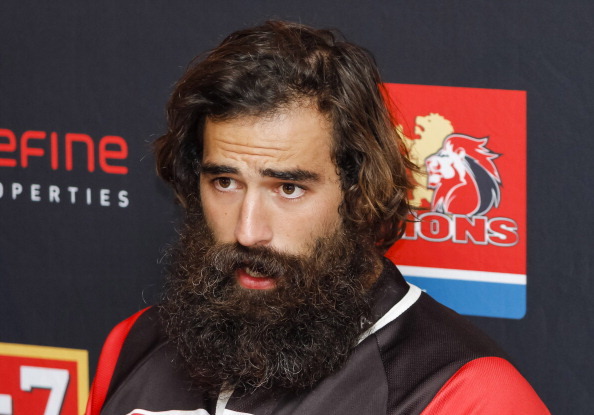 Josh Strauss has become a changing room hero, showing a light side and a sense of humour few expected from the rough-looking former Golden Lion. Sean Maitland has smashed all previous sprint records set on the Scotstoun track. Gregor Townsend has simply given the team something else to think about. The former Scotland attack coach came in with much to prove but he has settled in well. Some feel he still has much to learn about stewarding a whole team, with decisions to drag broken bodies in for Sunday sessions not going down well. Yet he has brought vibrancy and thought to the squad, with a few insiders remarking that he is not simply regurgitating coaching prose, like some bygone coaches. All of this makes for a fascinating 1872 series. Edinburgh have some players who can turn games, but they are holding on to bad habits and only won in Connacht by the skin of their teeth last time out in the RaboDirect Pro12. If they keep chasing games so hard they may be shocked by what they run into. Edinburgh’s head coach Michael Bradley will be hoping that the tweaks he must make will be enough to pull Edinburgh out of their funk. As for Townsend: there is no way to know which Glasgow he will send out. Nay bother, whichever one emerges against Edinburgh in the first match on December 21st will be expected to produce, and expect to be met with fire.